Poor Martin's Almanac: Lightning Strikes Again? We've gone and done it again. Ann is pregnant again and expecting to deliver a bouncing baby Jordan during the first week of July (fireworks, anyone?). 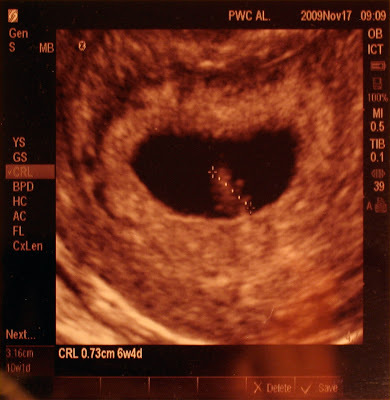 Back at nine weeks, the 'lil gummy bear weighed in at 24mm with a heartbeat of 174bpm. 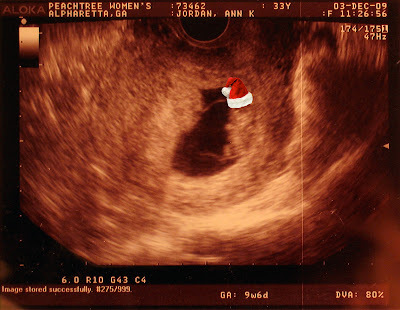 By today, after twelve weeks, the heartbeat had dropped to 157bpm. The grandmothers are following the flux in the heartbeat with bated breath, expecting that its speed or sloth will tell them if they'll have a granddaughter or grandson next summer. But they'll have to wait another two months to know for sure. Truth be told, neither Ann nor I are known for being kid people. Ann once joked that she'd sooner eat her own baby while JD often runs to the far end of a house or office to avoid kids. But Jack has been phenomenal—and being his mom and dad has been an experience far more enjoyable than either of us ever expected. So why not have two?! 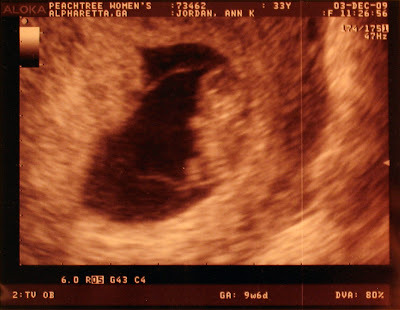 A close up of the gummy bear at 9 weeks.